One of the most distressing side effects of chemotherapy is hair loss (alopecia). For many of us, our hair is part of our image, the way the public sees us when we step outside. Understanding the reasons for hair loss, and ways to cope emotionally and physically with hair loss ahead of time may ease some of this distress on your journey through chemotherapy. Chemotherapy drugs are designed to kill rapidly growing cells. Some cells, such as those in our hair follicles, divide rapidly and are affected by chemotherapy as well. Hair loss does not occur with all chemotherapy medications and people may have different responses, even with the same medications. You may experience complete hair loss, hair thinning, or may not notice any hair loss at all. Learn more about the chemotherapy drugs which are most likely to cause hair loss. Hair loss often begins 10 to 14 days after starting chemotherapy, though this can vary. Some people may notice hair loss just a few days after their first infusion, whereas others may not lose all of their hair until several infusions have been completed. Your hair may thin gradually, or fall out rapidly in clumps. Many people are surprised that hair loss is frequently not limited to the hair on your head but can affect eyebrows, eyelashes, body hair, and even pubic hair. Hair loss related to chemotherapy is usually not permanent and begins to regrow 4 to 6 weeks after completing chemotherapy. (Hair loss related to radiation therapy, in contrast, is often permanent). Your hair may come back in a different color or texture than before chemotherapy. It's not uncommon to have "chemo curls" in which your hair comes back curly even if it was very straight before. This can last for a year or two. Years down the road, however, your hair will usually return to the degree of curliness you had before chemotherapy. In recent years many people have been asking if you can prevent hair loss from chemotherapy. Several techniques have been tried with varied success. “Scalp cooling” is one of these methods, and involves applying cool compresses to the head while chemotherapy is being given. The theory behind this is to contract blood vessels near the scalp so that the medication does not reach hair follicles. Since medications do not reach the scalp, there is a small risk that the chemotherapy will not reach cancer cells that have spread to this area. In general, this is of more concern with blood-related cancers such as leukemias and lymphomas rather than solid tumors. The procedure can also be quite cold and uncomfortable. Many people have tried scalp massage to increase blood flow to the hair follicles. While this probably has little role in preventing hair loss, it can be a loving and soothing act of kindness from a helpless feeling loved one. Medications that promote hair growth such as Rogaine do not appear to have a significant impact on hair loss and have the potential of adding unwanted side effects. Both during chemotherapy and as hair begins to grow again after treatment, caring for your hair may delay hair loss and facilitate regrowth. If you have long hair, you may want to consider a shorter style. Short hair looks fuller, places less weight on the roots (which may help hair last longer), and may ease the transition to total hair loss. Many people choose to shave their heads when their hair begins to fall out in clumps. Doing so may help prevent furry sheets and clogged drains, and head covers or wigs may fit better. On the other hand, some people prefer to allow their hair to fall out as it may and find that visualizing the chemotherapy drugs working as each hair is lost to be helpful in coping. Use a mild shampoo, such as baby shampoo, to wash your hair. Brush your hair gently with a soft baby brush or a wide-toothed comb. Try to limit washing your hair to a few times per week. Avoid ponytails, braids, and hair accessories that pull on your hair. Limit the use of hair dryers and use a low heat setting when you need to use a dryer. Avoid hair dyes and permanents. Remember to protect your scalp from the sun with coverings and/or sunscreen. Diverting attention away from your hair. Accenting your other features such as your face can draw attention away from your hair. Consider a facial or new makeup. Wearing jewelry, such as a necklace, or treating yourself to a new outfit with bright colors can also draw the focus away from your hair. Humor. Adding a bit of humor can sometimes ease the transition to complete hair loss. From partial shaving to create a temporary Mohawk, to borrowing temporary tattoos from a child to apply to your scalp, some people have eased this transition with humor. Reading books, such as "Smilies are Naturally Bald" can sometimes bring out laughter, while at the same time realizing you are not alone. There are a number of "bald from chemo" jokes online as well. While there is a place and time for sorrow and a place and time for humor, you may find that your burden is lightened when you laugh about having a "no hair day." Visualization. Some people have found it helpful to look at hair loss as a positive sign. 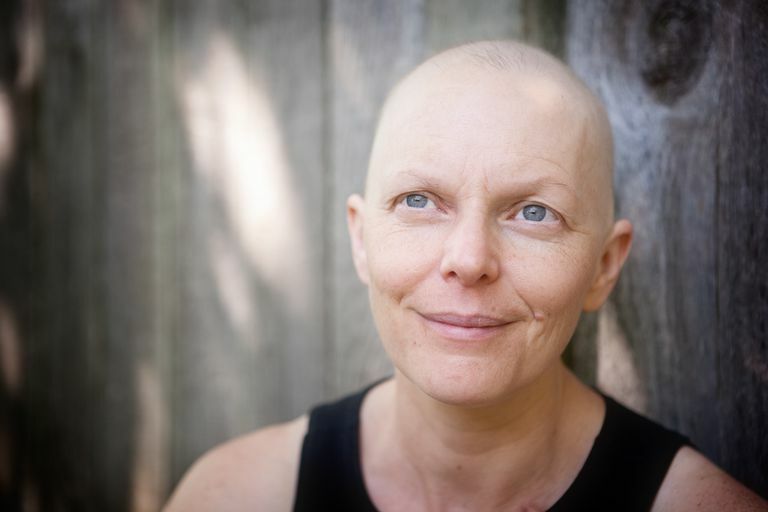 “If the chemo is killing off those hair follicles, it must be hitting my cancer cells as well.” Consider visualizing your chemotherapy shedding your cancer cells as it results in the shedding of your hair. The best time to shop for head covers is before you start to lose your hair. Everyone experiences hair loss differently, and several options are available to meet your personal needs. Check with your cancer center or local community to see what resources are available. Check out these other tips for preparing for chemotherapy-related hair loss before you begin your infusions. American Cancer Society. Hair Loss. Updated 05/12/17. How Does Cancer Treatment Affect Fingernails and Toenails? Does Chemotherapy Cause Mouth Sores?